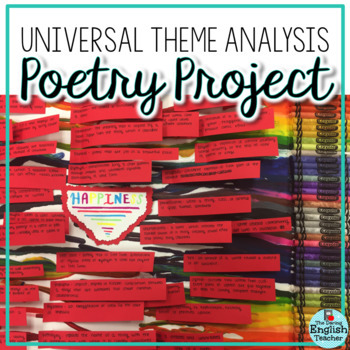 Help your students understand and appreciate poetry and poetic devices with this universal theme poetry analysis poster project. 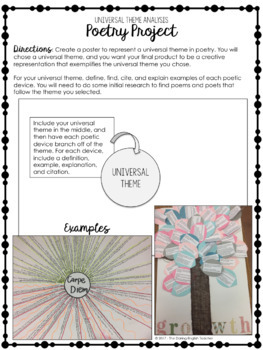 For this project, students will explore a common, universal theme, and find, cite, and explain examples of multiple poetic devices. 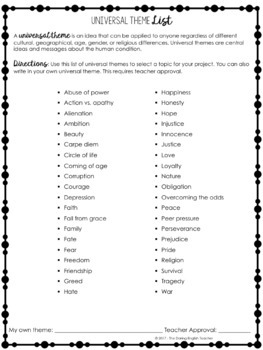 This project is ideal for all secondary ELA students; however, students in lower grades may require some modification. 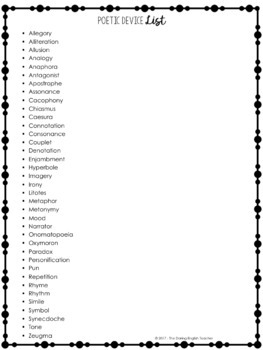 To modify this resource, simply assign fewer poetic devices.